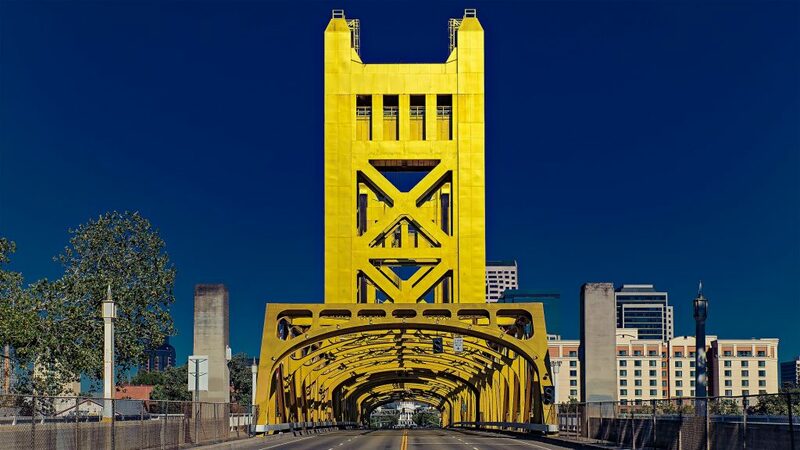 Reno, Nevada is an exciting destination to visit or call home. Reno gets its initial claim to fame as the little brother of Las Vegas, offering a smaller, more intimate gambling experience. 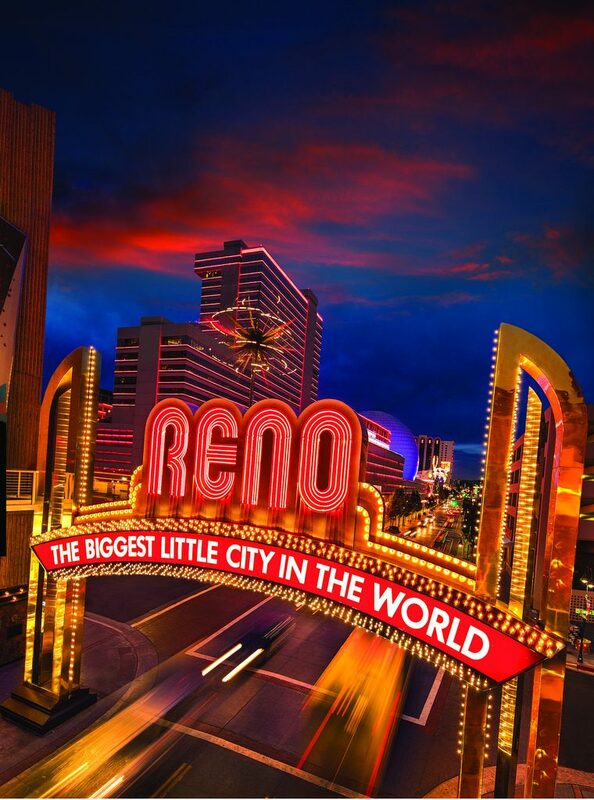 But Reno has plenty of fun things to do besides the roulette table, and in 2011, “The Biggest Little City in the World” rebranded itself to become manufacturer-friendly and attract expanding corporations to the area. 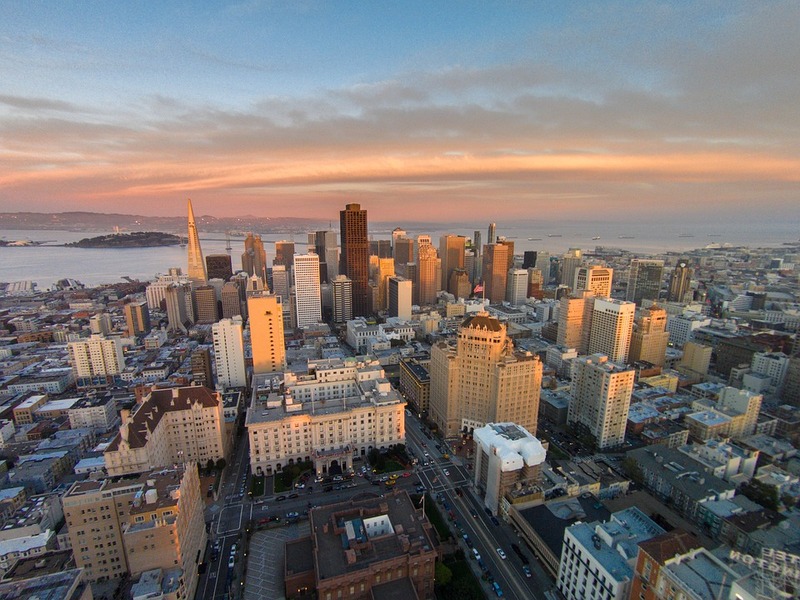 The outcome created an economic boom from tech industry giants like Amazon, Apple, SolarCity, and Tesla, which benefits residents and visitors alike. Reno’s historically robust gaming community and rampant tourism also created smatterings of highly rated restaurants, good schools, a vibrant arts scene, and well-known annual events. If you look past the blinding neon lights and flashy casinos, Reno offers so much more than meets the eye. Here’s what you need to know about Reno as a job seeker or a tourist. 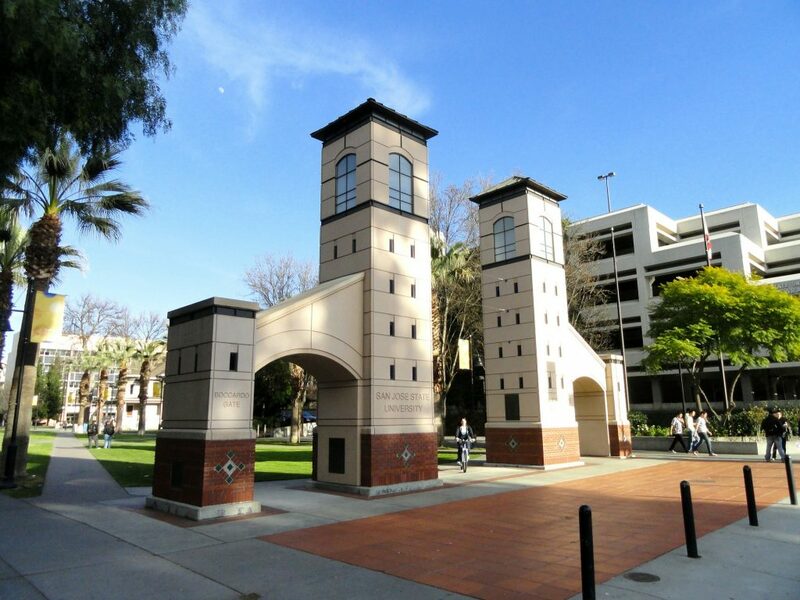 Reno boasts has one of the strongest job markets in the country for college-educated job seekers. 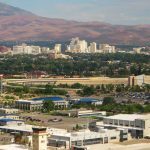 The unemployment rate in the greater Reno area has steadily decreased since 2011, from 30,879 in 2011 to 11,543 as of August 2016, according to Sierra Living. 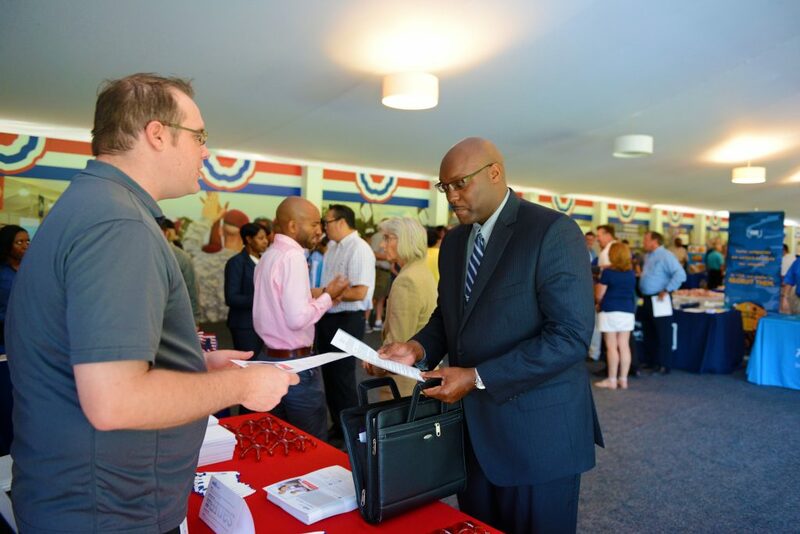 The job market should continue its strong growth, too. In a 2014 report, The Economic Development Authority of Western Nevada projected the Reno area will create 50,000 new jobs between 2015 and 2020. The tech industry isn’t the only reason job seekers are flocking to the greater Reno area. Reno has always been a tourist town thanks to the casinos and Lake Tahoe, and the thriving tourism industry brings a constant influx of different jobs. 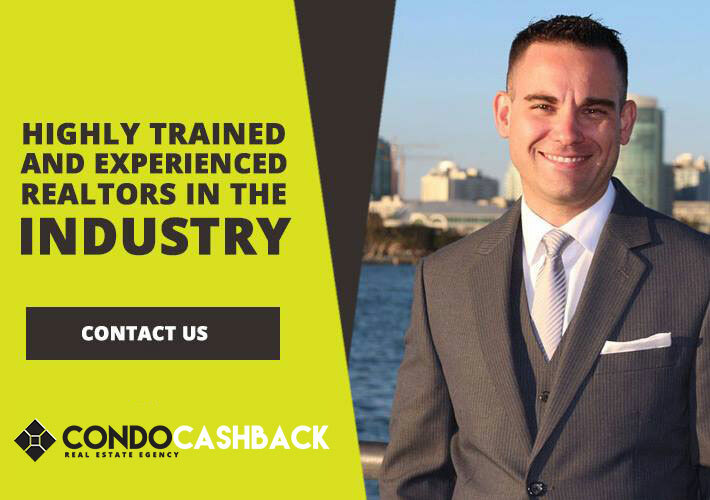 Most of these seasonal positions are in the restaurant, hospitality and gambling verticals. Reno’s proximity to Lake Tahoe also brings in plenty of seasonal workers who crave recreation-friendly work. Reno is becoming wealthier as a whole, in part because of the bustling tech boom. The consequences of that mean people have more money to invest in their homes so home sales and construction are naturally rising. But different neighborhoods are adopting this remodel resurgence at different paces. To discover how up-and-coming a neighborhood is, consider using a tool like BuildZoom’s remodel mapping, which shows every remodeling project in Reno. The company compiles data from the Reno’s building permits to provide homeowners with a free, public resource to help them better understand what’s happening in their neighborhoods, USA Today reports. Reno is a high-altitude desert, so it gets hot in the summer and cold in the winter. This predictable and diverse temperature range gives residents and tourists plenty of outdoor activities to enjoy year-round. The Reno area is well-known for its excellent summertime biking, fishing, golf, hiking, and kayaking. When winter’s caressing snowfall blankets the area, Reno residents slip away to the Sierra Nevada mountains to enjoy downhill and cross-country skiing, snowboarding, snowmobiling and rock climbing. Reno has a robust daily event schedule for all ages and interests. The city has at least one major community event every month, and dozens of smaller events dispersed throughout the city. Last, music and theatre lovers won’t find a better place in the Southwest for concerts and performances besides Vegas. 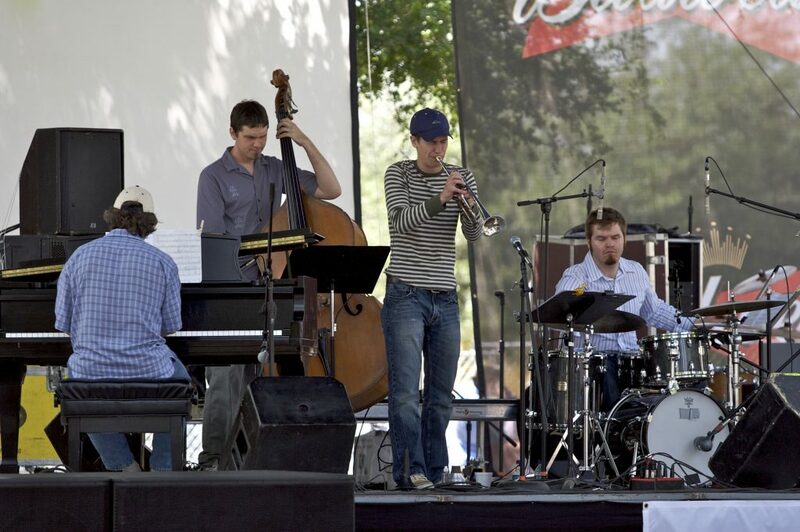 Local Reno performances include Broadway musicals at the Pioneer Center for the Performing Arts, classical music concerts at the University of Nevada, and a rotating list of international bands at the larger hotels and casinos. 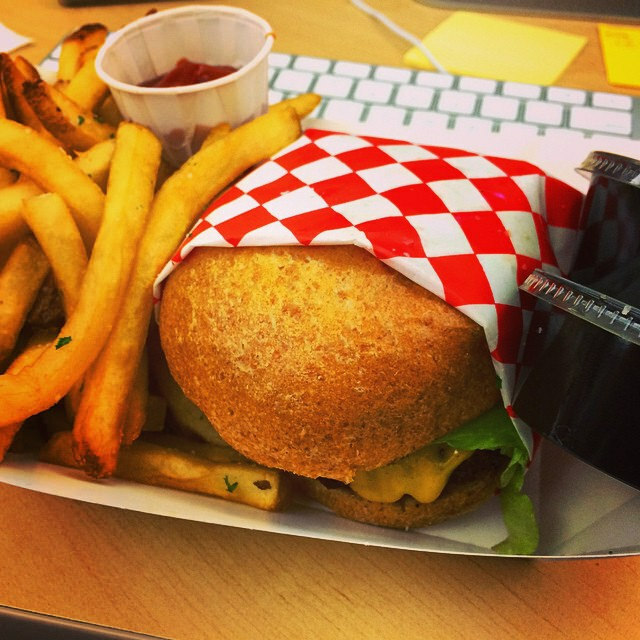 Reno offers a surprisingly large and variable selection of eateries. Reno is, for all intents, a foodie town. The biggest food event is the Reno Bites festival, where attendees can sample practically every cuisine type by the area’s best restaurants. New restaurants and bars often surface every month, and many large and small establishments offer special wine dinners and food tastings. 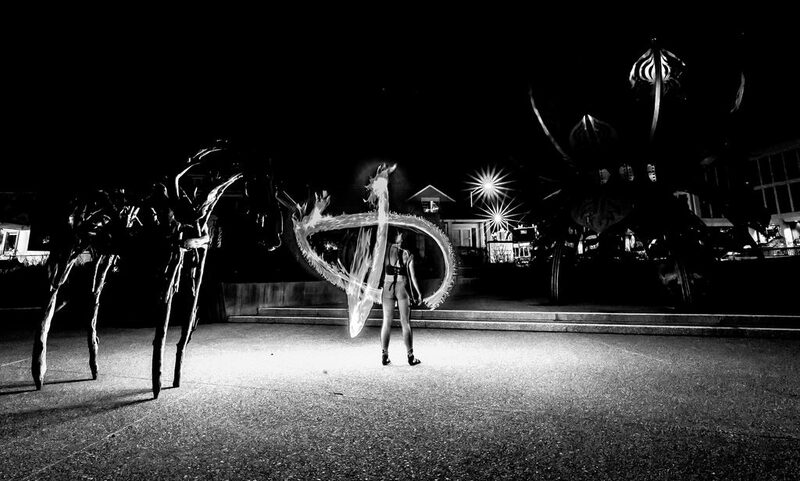 Reno’s art and museum scene is often overshadowed by its gambling front, but the area has spectacular offerings for culture lovers. One of the best attractions is the Fleischmann Planetarium, which is hosted the University of Nevada, Reno. The planetarium is one of the first planetariums to use the Spitz SciDome digital projector, a high-resolution visualization tool that produces colorful and striking 3-D images of space objects. Another stellar art attraction in Reno is The Nevada Museum of Art, which is Nevada’s only accredited art museum. The thematic museum emphasizes how humans interact with the environment. It also showcases new and historical efforts to protect the environment. 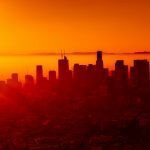 Now that you’re settling into your new California condo, there’s plenty of reasons why you might want to pay Los Angeles a visit. Home of Hollywood, the Walk of Fame, Rodeo Drive and more than a few great restaurants, L.A. clearly reigns as one of the nation’s best cities (and best vacation stops–it’s hard to beat that Southern California weather). If you’re planning a vacation with accessibility in mind, however, you might worry about taking advantage all of the city’s activities. High steps or a narrow doorway can make a trip less than ideal for wheelchair users. Luckily, L.A. has rated among one of the most accessible cities in the U.S., with plenty of options and activities everyone can enjoy. 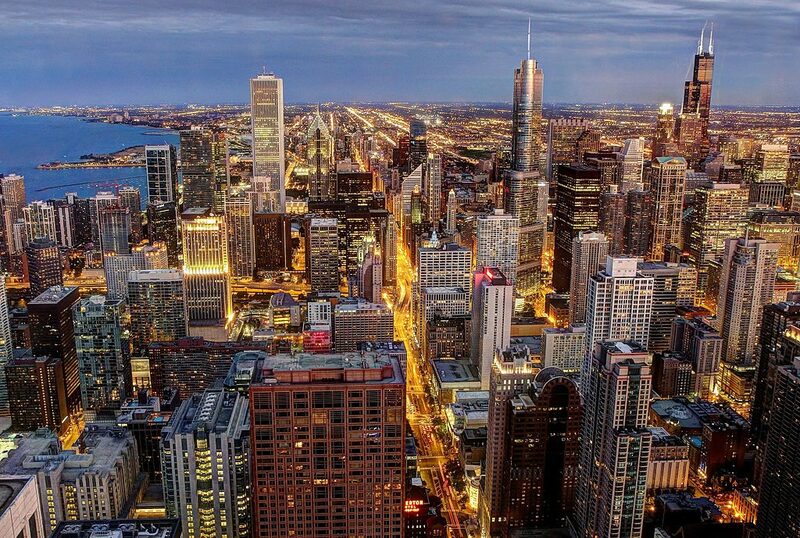 Hop in your car and travel the city end-to-end, and you’re sure to see some unforgettable sights–with no worries. Who knows, you might even catch sight of a few Hollywood stars. The first thing you’ll be planning is what, exactly, you’d like to see while you’re in town. For foodies, there’s no shortage of accessible restaurant options (perhaps too many to count—though you’d be missing out if you skipped the Griddle Café) But with L.A.’s many activities and attractions, it might be a more difficult to dig through reviews and websites looking for things to do and potential accommodations. Here’s our top suggestions. 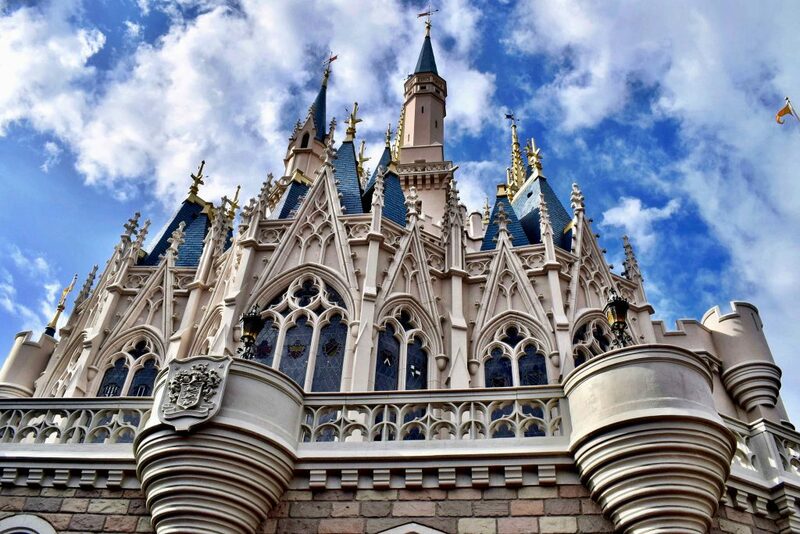 Dining and doing might as well be the theme park’s middle name. 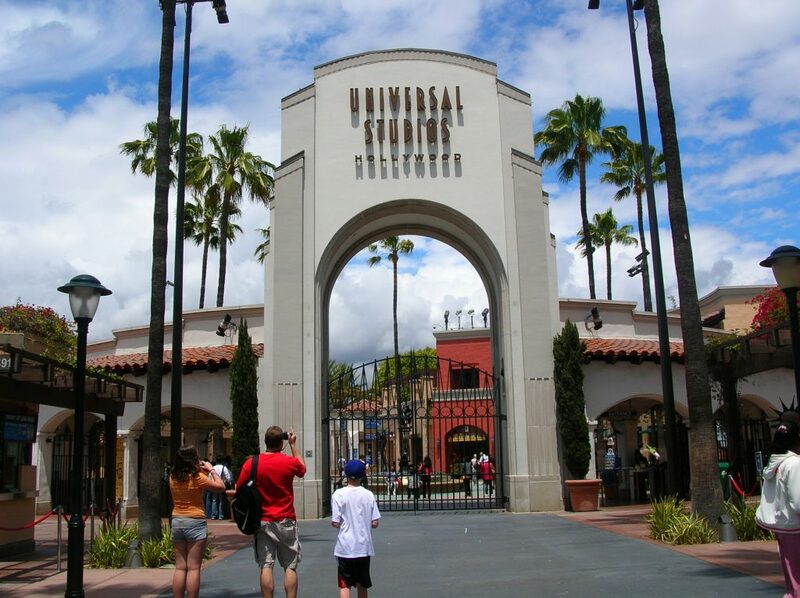 Universal Studios offers rides and attractions featuring box office and home favorites such as Harry Potter and Jurassic Park. There are also studio tours on offer, for those who want to see just how the movies get made. Universal Studios offers assistance passes for disabled guests, allowing them to wait in alternate queues for rides, and many, if not most, rides are equipped to accommodate wheelchair users and courtesy shuttles. If you’re looking for more thrills and chills, you can’t miss with a trip out to the classic Disneyland. 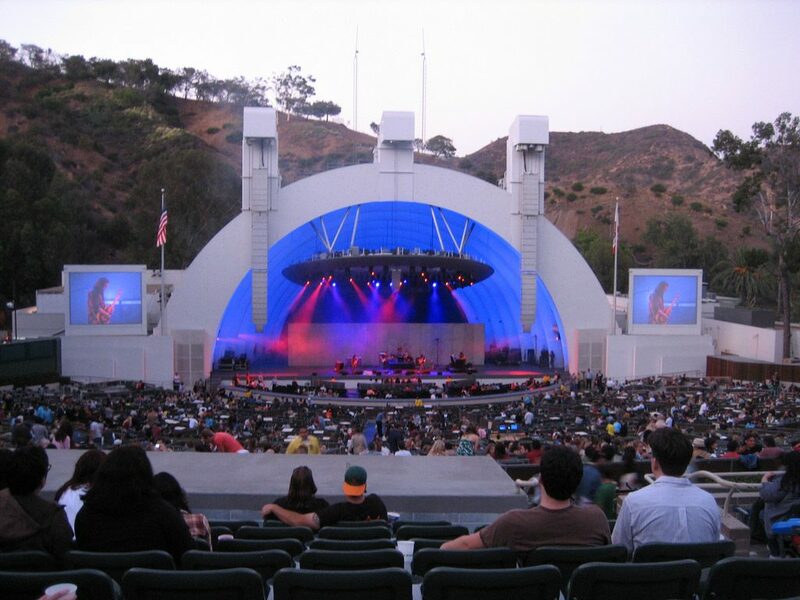 The iconic outdoor amphitheater is a great place to catch a once-in-a-lifetime show. Home of the L.A. Philharmonic, the Bowl has hosted musicians from Judy Garland to Chance the Rapper. Just beyond the Bowl, you can catch sight of the famous Hollywood sign—two things you can cross off your L.A. to-do list. The Bowl is ADA compliant and provides accessible seating arrangements. You can’t pass up on a chance to shop with the stars. The famous Rodeo Drive, a three-block stretch of around 45 high-end shops from Bottega Veneta to Valentino, is known as a prime spot to catch movie stars and more shopping and enjoying the day. Even if you’re not much for Dior, it’s worth a look. The Drive’s sidewalks are wide enough for wheelchair users, and most stores are accessible. And if you’re looking for a few more places to get your shopping in, you might also try the Grove, a premier outdoor shopping center, and one of the most accessible, with ramps, parking and plenty of shops as you cruise around in an accessible electric vehicle. If you’ve had your fill of shopping and studios, and your Philharmonic tickets aren’t until the next day, then you might be wondering what else you might see. 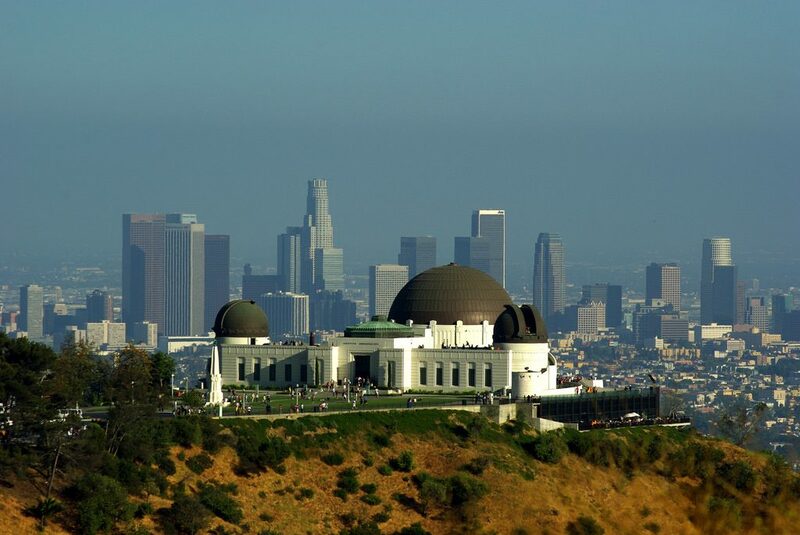 The answer: grab a rental car and see L.A.’s cultural sights, and natural beauty. The colorful pastel pier has a long (nearly 100-year) history of two rival pier owners looking to outdo each other. While the pier’s fraught history is long past, there’s more than enough fun. 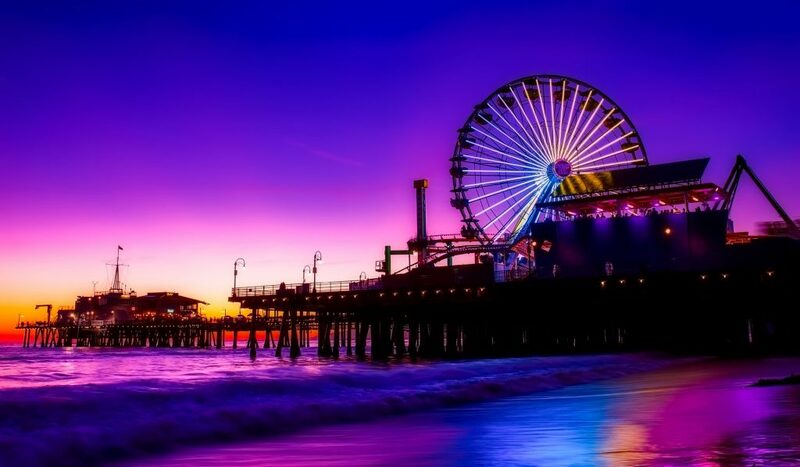 Aside from the Pier’s amusement park, Santa Monica Beach itself is considered to be a SoCal top attraction. The beach provides a paved path along the sand for wheelchair users, and the city provides free beach wheelchair rentals, provided you call ahead. 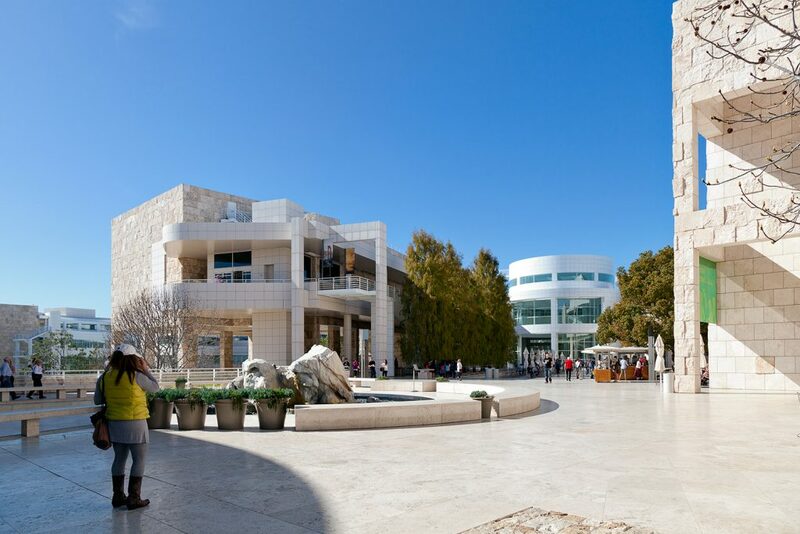 The Getty features not only incredible art exhibitions, but a 134,000 square-foot central garden boasting over 500 varieties of plant life—and that’s not to mention the unusual and sweeping curves of the Getty Center itself. 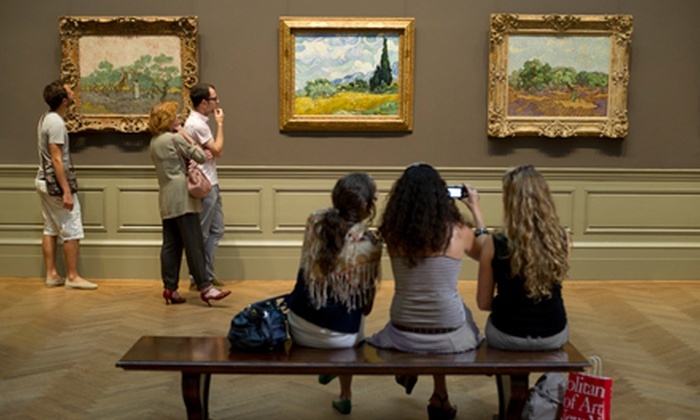 The museum’s permanent collection of European paintings span many centuries, from the Renaissance to the nineteenth century, and they frequently display rare books and photographs. The Center is wholly accessible to wheelchair users, providing a tram to and from parking plazas to the Center’s hilltop perch. Trust us, it’s not world-famous for nothing. Deep in the heart of Downtown L.A., the MOCA has astounding holdings post-1940, featuring artists like Mark Rothko, Andy Warhol and Agnes Martin. The museum provides elevator access to its galleries and wheelchair loans. 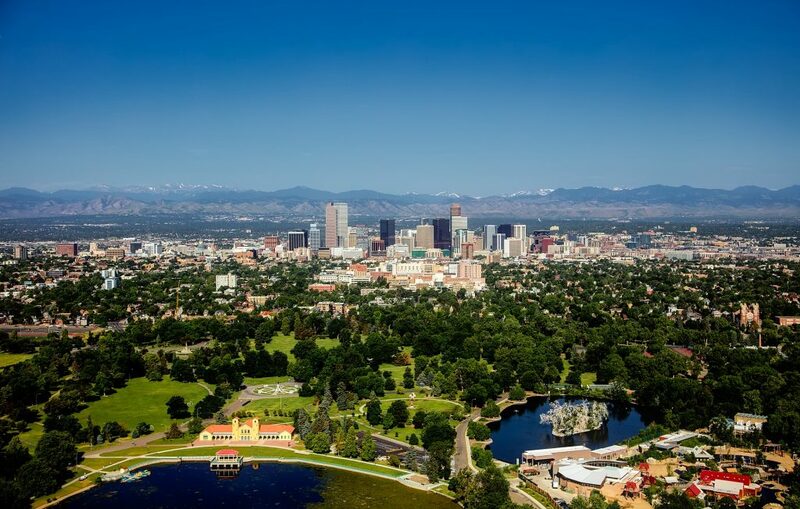 Both the Park and the Observatory are fully accessible, and it’s a view not to miss. Not only can you get a full view of Los Angeles from the Pacific Ocean all the way to Downtown, it’s another chance to snap a quick pic with the Hollywood Sign. Need we say more? There’s a reason they call it the Best Coast. From top to tip, you can traverse the entirety of the West Coast in under 48 hours. Take a couple of days and explore this new part of the country as you settle in, or as you consider purchasing your new West Coast Condo. 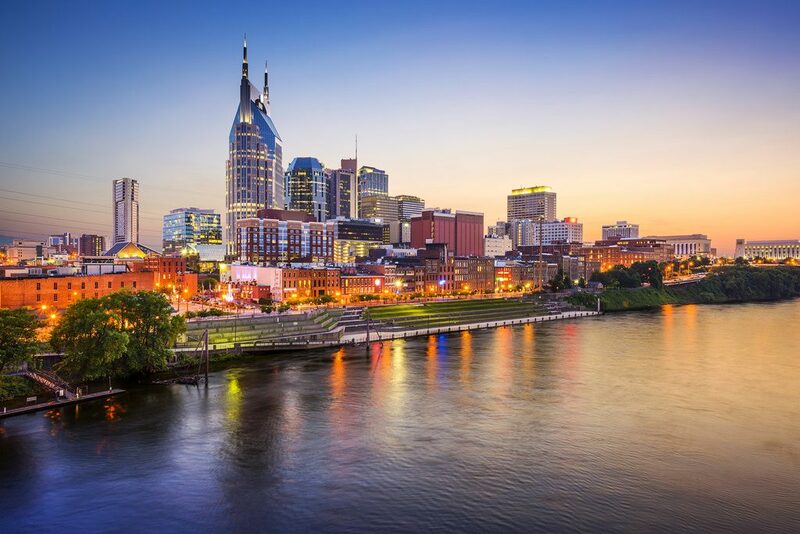 Experience some of the most iconic stretches of road, see some of the most beautiful views in the country and to visit some of the best American cities. If you’re planning a road trip over summer vacation, there’s no better way to see the nation’s best sights than to follow the West Coast from Washington State down to San Diego. 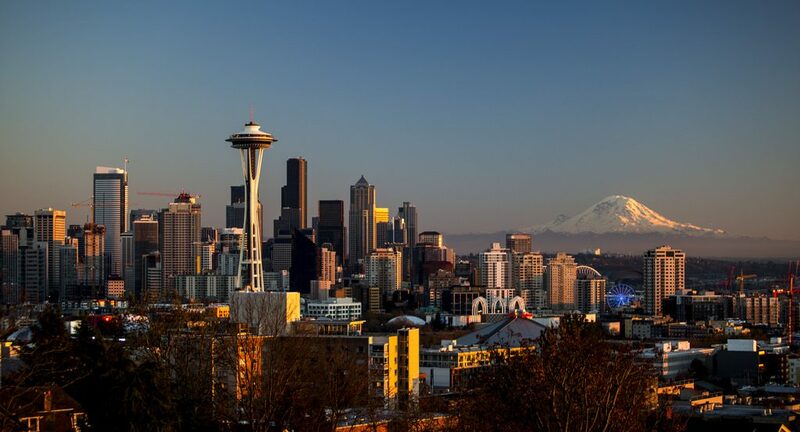 The Pacific Coast Highway in California offers plenty in the way of gorgeous beach views across miles of winding roads, through state parks, forestry and, hey, even through a little wine country, but if you start further north, you’ll see coastal treasures such as Mount Ranier. Take your ride in for a tune-up—it’s time to hit the road. 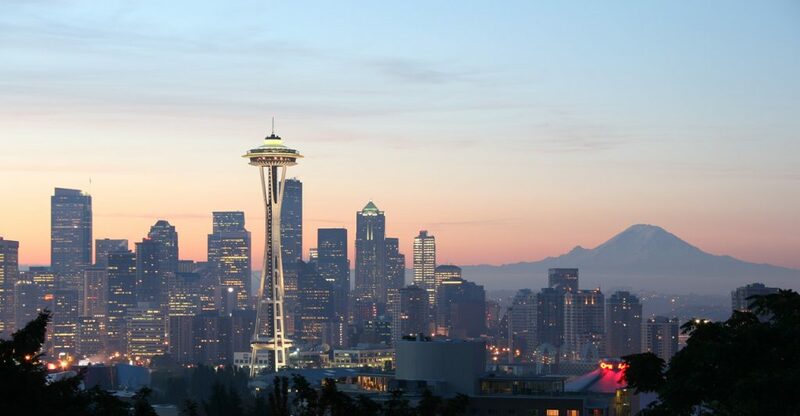 With how many coffee shops line the city’s streets, it’s a wonder they don’t call Seattle the city that never sleeps. Visit the iconic Pike Place Market and the Space Needle, kayak Puget Sound or just grab a grilled cheese at Beecher’s Handmade Cheese. You’ll find lots of mixed opinions on where exactly to grab Seattle’s best cup of coffee, but you can visit Starbucks’ first location and a few top spots to form your own opinion. 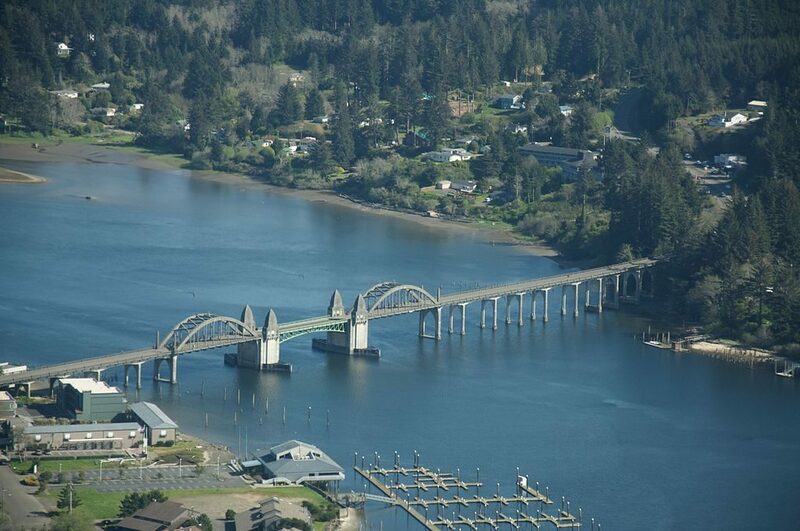 Camp at a nearby state park, or find lodging in the city for a real Seattle adventure. Your first stop will be the home of all things quirky. 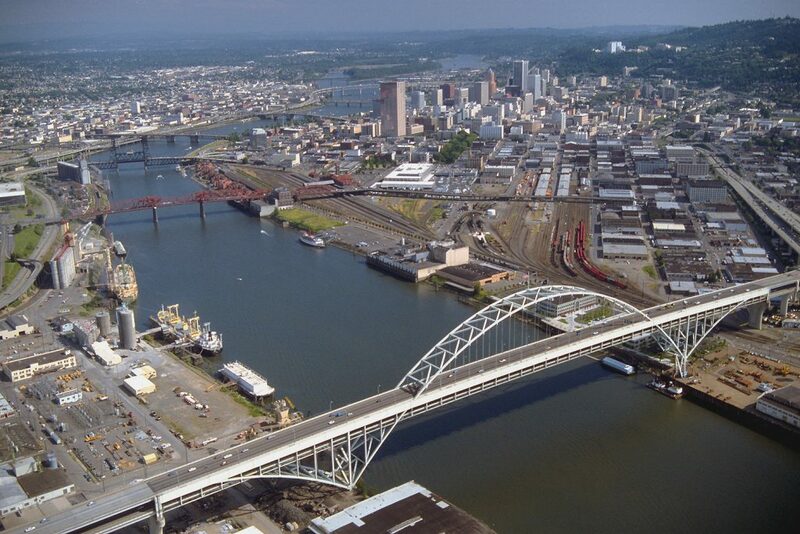 Portland’s known for keeping it weird, but there’s more to it than just quirk. Locals agree that famed bookstore Powell’s City of Books is a must-stop, along with the International Rose Test Garden (the garden that gave the City of Roses its name). Bend has one of the most unique climates in the U.S. It’s home to high deserts, rushing rivers, forests and mountains—and, as a result, a whole lot of outdoor activities. Spend a day or two hiking the trails, or grab a beer at one of the area’s many local breweries, including Deschutes, Boneyard and 10 Barrel (or have a few at a Catholic school house-turned-brewery and hotel). Even if you’re just stopping through, you’ll find plenty of mountain views and forested retreats on the road into the town, making a short stop worth your while. Crater Lake doesn’t mince words—it’s exactly what it sounds like. But don’t let that make you think it’s just a hole in the ground. 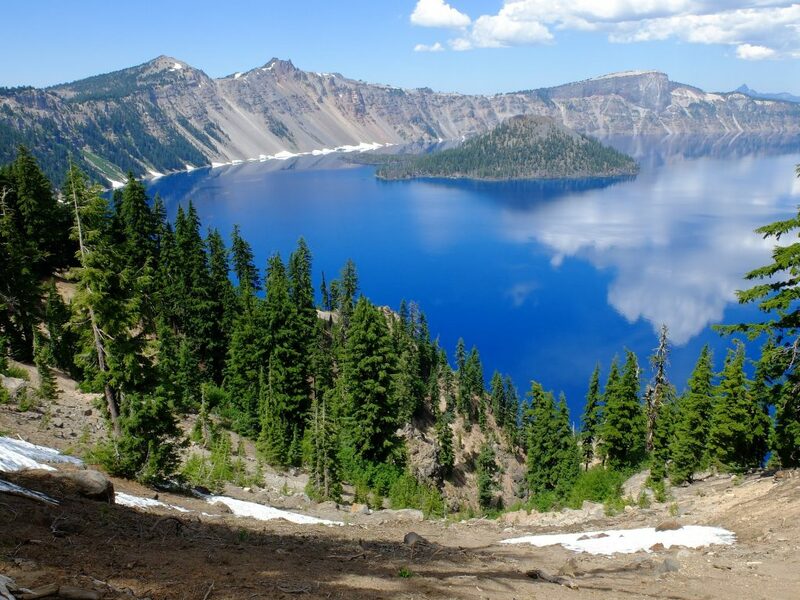 The deepest lake in America, Crater Lake was formed by a collapsed volcano, and it’s by far one of the nation’s most beautiful sites. Cliff jump into crystal-clear water, hike around the lake and camp for the night to fully experience this breathtaking park. Mount Shasta is just a 2-hour, 15-minute drive from Crater Lake, making it a perfect stop in between the state park and Sacramento. Take a short hike around the mountain for some spectacular views and a quick leg-stretch on your way to Sacramento, or take an hour or two to hike the McCloud River trail for waterfalls and craggy natural scenery. If you’re driving a convertible, now is the time to put the top down. 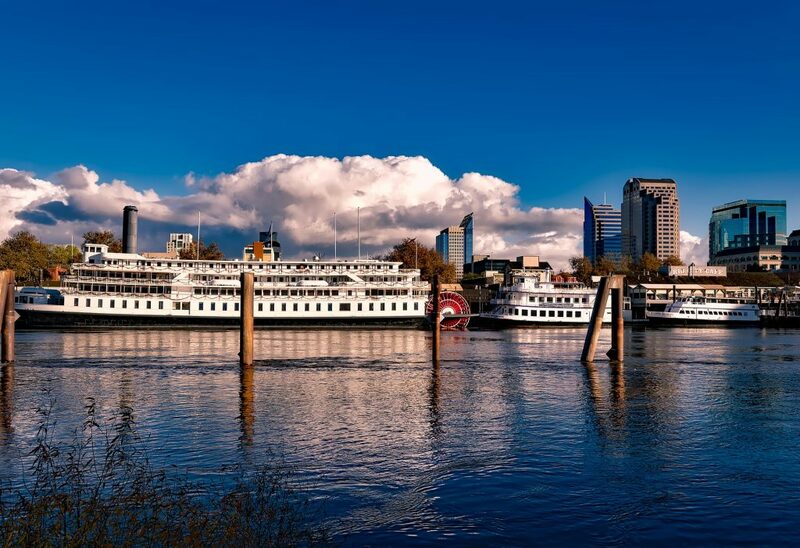 While you’re in Sacramento, you’ll almost certainly want to walk the streets of Old Sacramento, a historic district that recalls the Gold Rush. History buffs will especially love the California State Railroad Museum and the area’s numerous historic houses. 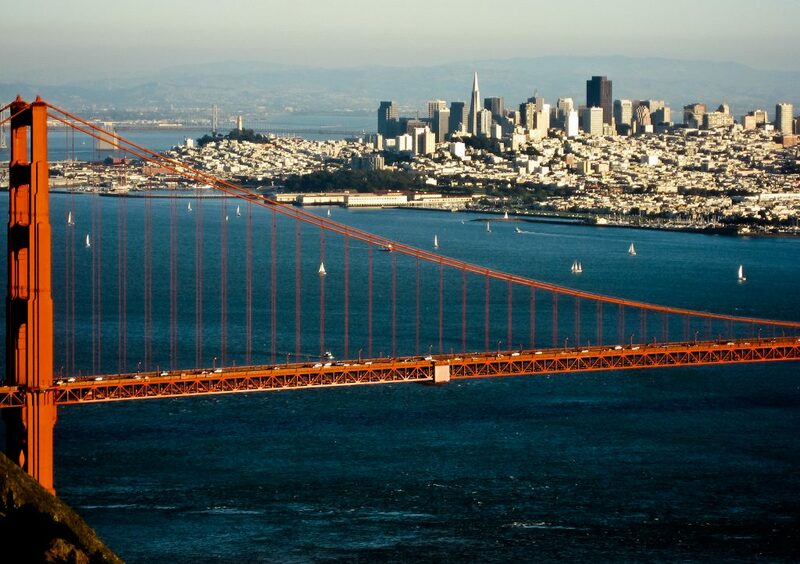 It’s only another short drive to one of California’s most beloved cities. San Francisco is only an hour and a half away from Sacramento, and Big Sur’s just another hop, skip and jump at almost three hours. Those looking for real scenic drives may decide to skip over San Fran for Big Sur’s panoramic ocean views (and treehouse lodging!) 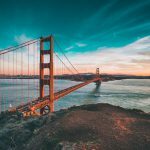 But many will want to stroll San Francisco’s scenic streets, visit Golden Gate Park or stay a day and explore the city’s bars and nightlife. 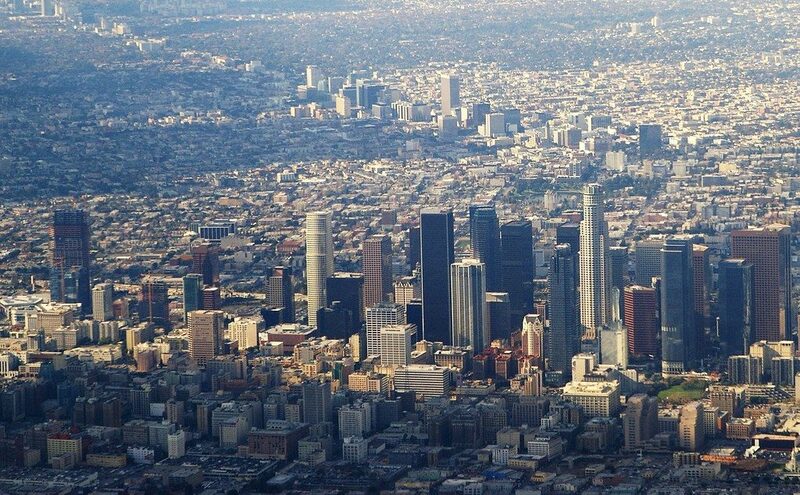 Rodeo Drive, Hollywood and lots and lots of great food, there’s no doubt you should make L.A. one of your stops. Los Angeles is home to stars, but plenty of great sights, such as the Hollywood sign, the Griffith observatory and, of course, the Walk of Fame. As this is the longest drive on your trek, you may consider stopping off for a few hours (or a day) in Santa Barbara, which sits just between Big Sur and L.A.
Last stop, sunny San Diego! 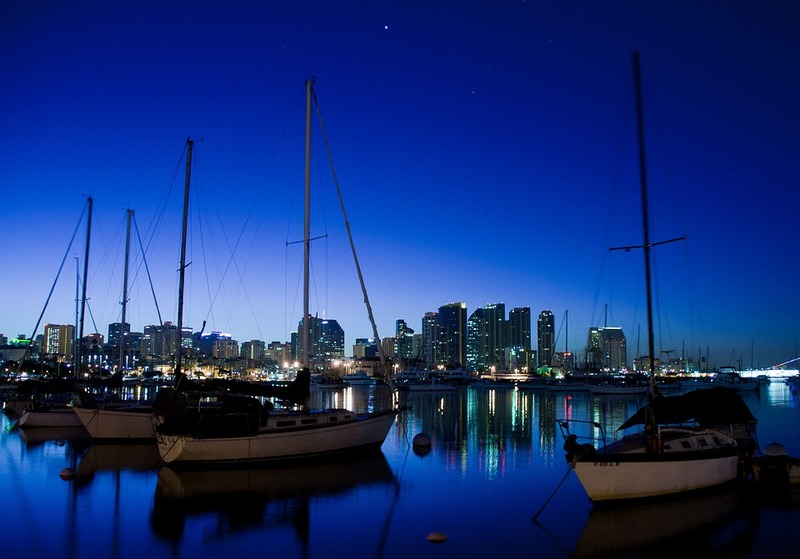 Treat yourself to some sun, sand and maybe even a trip to the famous San Diego Zoo. 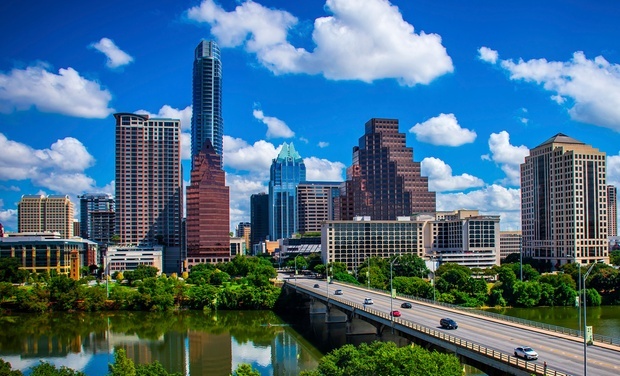 The city’s Downtown Commercial office market is divided into two categories – the Central Business District (CBD) and Uptown/Turtle Creek. has more class A space than most regional sub-markets. 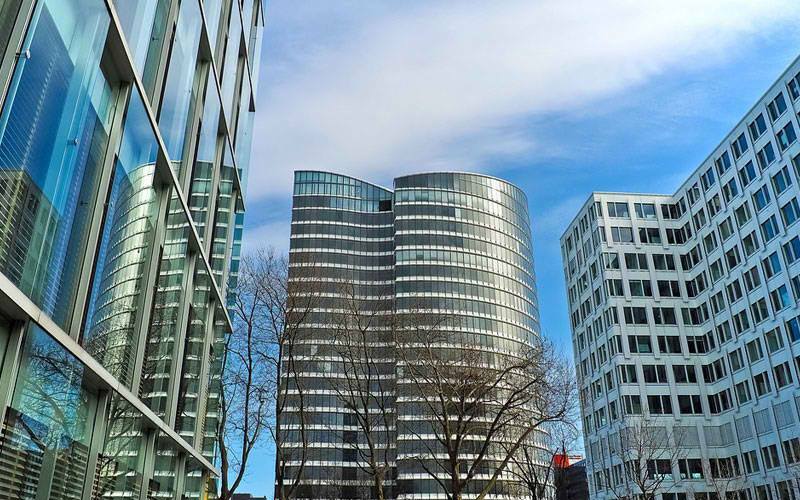 If you’re looking to lease an office, here are top five high-rise office buildings to choose from. Standing 939 feet in the main street district of downtown Dallas is the tallest skyscraper in the city. Built in 1983, this is one of the most recognized architectural design in Dallas. During the day, it’s a magnet for curious visitors and tourists. 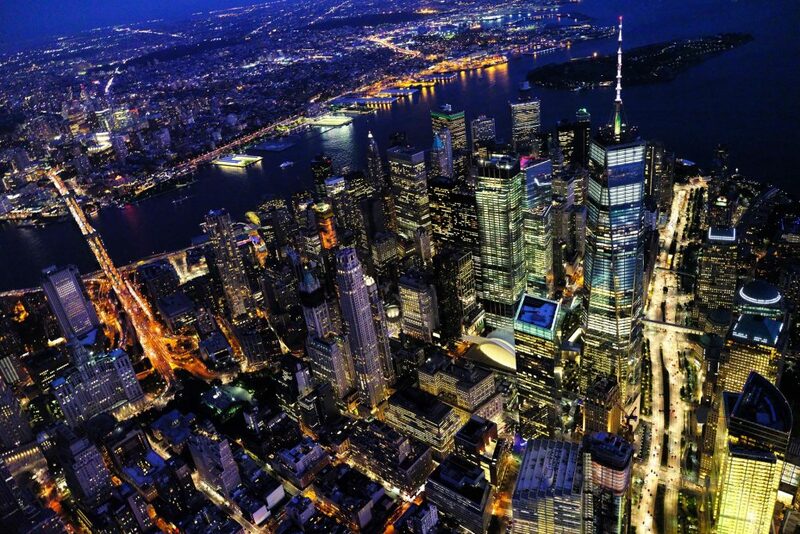 At nightfall, a distinct silhouette outlines the skyline in two miles of attractive green LED. Residents have nicknamed it the green monster. Standing on 1201 Elm street in Downtown Dallas is the second tallest skyscraper in the city. It’s 56 floors are defined by a unique double X lighting pattern at night. 31,000 square feet of floor plates makes it the largest, and most efficient space layouts in the CBD. Tenants have a choice of using either the Dallas Tollway or Dart light rail – which serves commuters to the doorstep. The Ren Tower, as it’s affectionately nicknamed was built in 1971. This 60-floor skyscraper at 1717 main was built in 1987. It houses the headquarters of the Comerica Bank. Located at the bull’s eye of the Main street District, the building is strategically positioned from the one- way street patterns. Commuters only need to walk a short distance to light rail at both Akard and St Paul Dart. In the middle of Arts District in downtown Dallas is the 1.3 million plus square foot tower. Built in 1987, the towers’ 55 floors punctuate the skyline. It’s referred to as “ The Keyhole Building” for its sky window. Below the sky window is the sky lobby with a 360-degree view of Dallas. 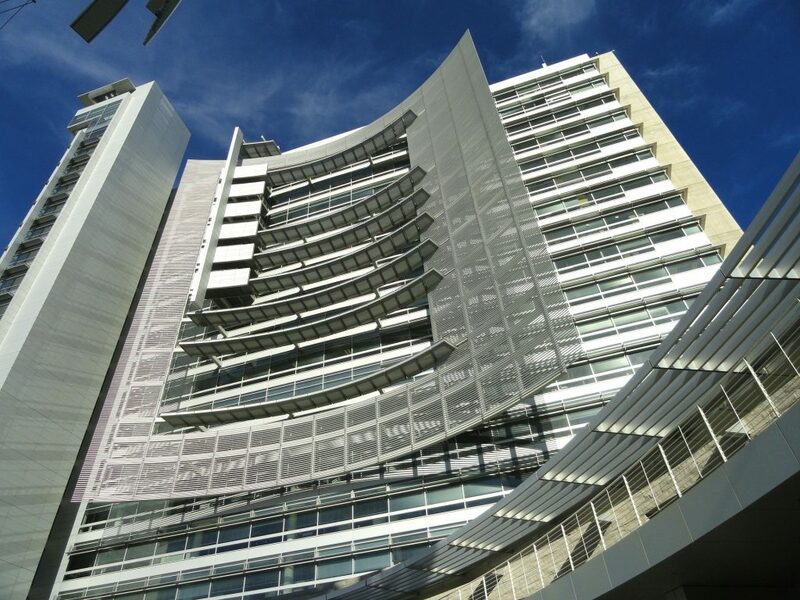 The building was the first high-rise in Dallas to achieve LEED Gold for its sustainability as a green building. Visitors and tenants access and exit the building through a congestion-free ingress/egress with close proximity to six major freeways. At the edge of the Dallas Business District, on Rose Avenue is a geometrically skewed glass skyscraper. The 1.2 million square foot tower is designed like a glazed prism. After completion it became the world’s tallest building – glazed with a four-sided structural silicone. 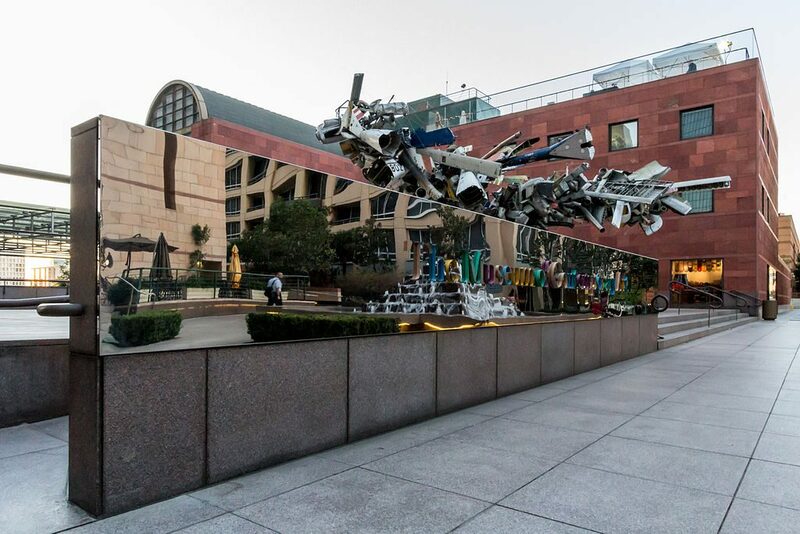 The class A building is fully surrounded by an oasis of 172 dancing fountains, and colorful flowers. Half of the building site is set aside for a two-acre downtown water garden which provides a wet, and shady destination for pedestrians. Built in 1986, the building was recently renovated in 2013. It connects directly to the Fairmont Hotel to the east via the Northwest downtown tunnel system. Dallas is recognized as an ideal city to conduct business in U.S. The favorable rents, state of the art commercial space, and a rich cultural scene makes it one of the best cities to live and work in. 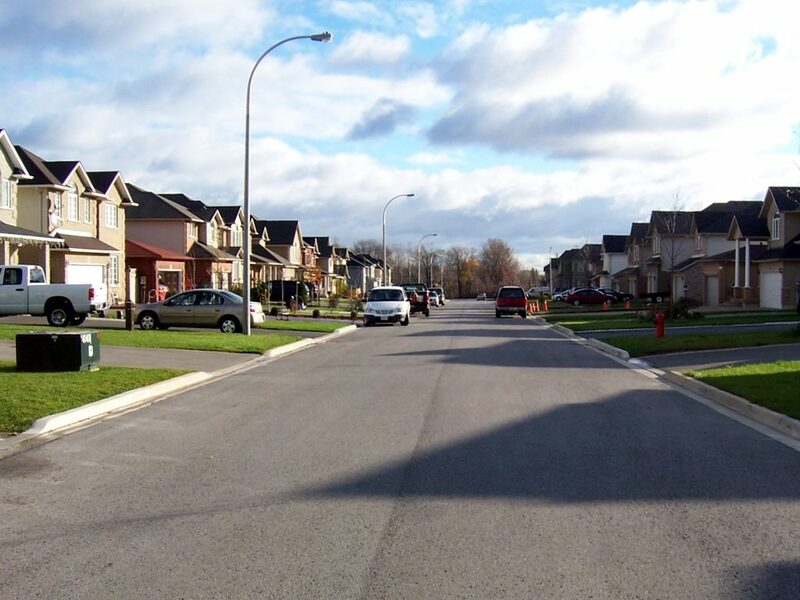 Condo’s are a great option for those wanting to delve into home ownership for the first time. Despite being the owner, living in a condo often doesn’t include all of the freedom that living in a single-family home can provide unfortunately. 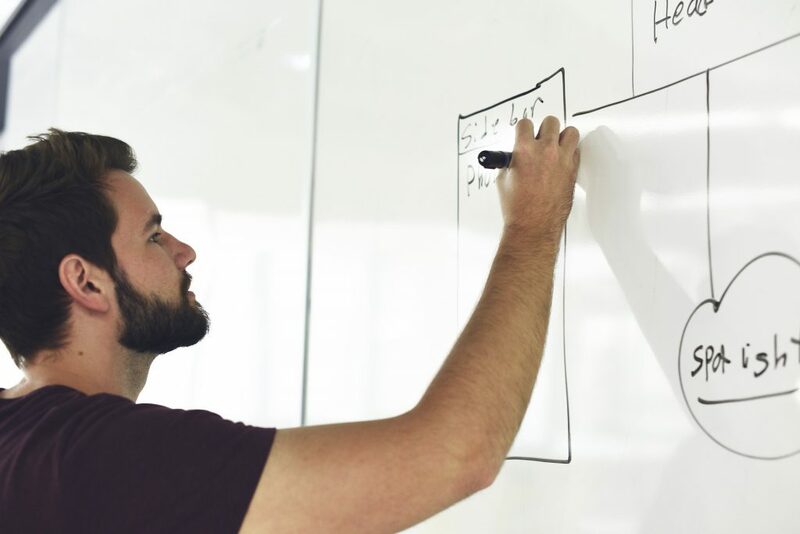 Making building modifications like moving walls, installing skylights, and other structurally altering modifications are generally prohibited by the HOA. Installing a permanent solar power array on the roof of your condo very well may be one of those prohibited modifications. This doesn’t mean, however, that you can’t enjoy some or all of the benefits of solar power generation. For many condo owners it may be impossible to convince your HOA to approve a permanently attached solar power system, however, condo owners can still benefit from the environmental and money-saving benefits of solar power thanks to a few resourceful hacks. There are a number of different types of solar panels that can make a dent in your power bill by supplementing your home’s electricity needs. Some, such as small portable panels that run off of batteries, can be easily hooked up throughout your house. Best of all, the smaller panels are easy to remove when you’re ready to move away and will keep your HOA happy. Small panels can be bought fully assembled or in individual pieces. 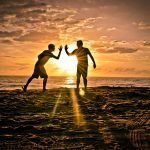 And almost anyone can install a panel themselves – saving the renter hundreds of dollars not only in electricity bills, but in installation fees as well. The smaller panels can produce enough energy to run small appliances within the home. Many systems can include solar charged batteries to continue to power your belongings after the sun sets. 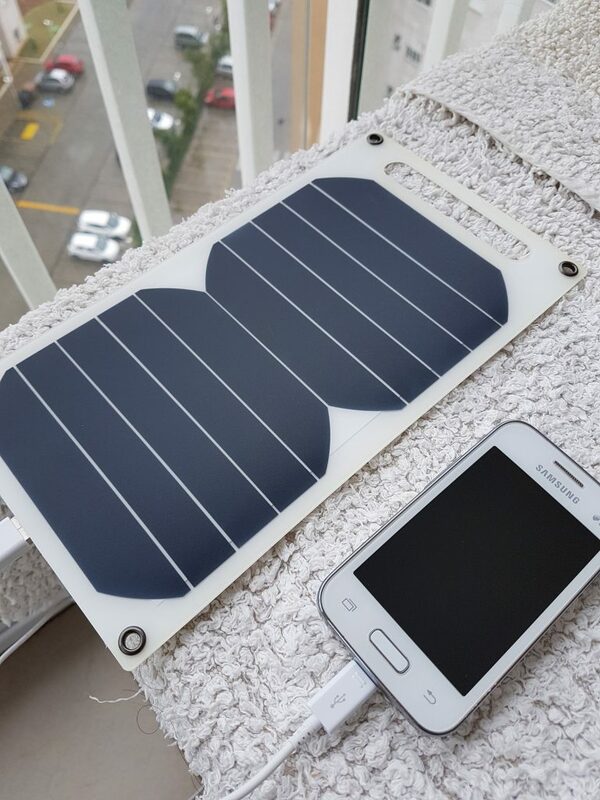 One of the more popular solar solution is setting a small portable solar panel with a battery in your window or balcony to charge your smart phone overnight. For those looking for a panel that will make a larger impact on their electricity bills, consider a plug-in-play solar panel. These solar panels are larger and provide your home with electricity by plugging directly into a power outlet. Similar to smaller panels, moving larger plug-in panels is as easy as unplugging and moving them around. As an added bonus, plug-and-play solar panels are usually modular, so multiple panels can be combined together to multiply your solar power savings. The best part: these kits are eligible for federal tax credits too! Community Solar Projects, solar farms, and solar gardens are popping up everywhere. These community projects make it possible for renters to benefit from solar power without actually installing solar panels on your condo or townhome. In solar communities, you can invest in the install of solar panels in a space away from your home. You will then receive credit on your power bill for the electricity generated through the solar panels by the project remotely. CInvesting in a solar community is a great option for condo-owners whose HOA is strictly opposed to an installation. By installing the panels in a separate location, you do not need permission from anyone and you don’t have to worry about removing them when you move. Condo-owners who want to entirely eliminate their electric bill will require stronger panels. In these cases, it might be best to invest in having full sized panels professionally installed (with the permission of the HOA of course). Although getting panels installed may not be the easiest task, your electricity bills and the environment will thank you. 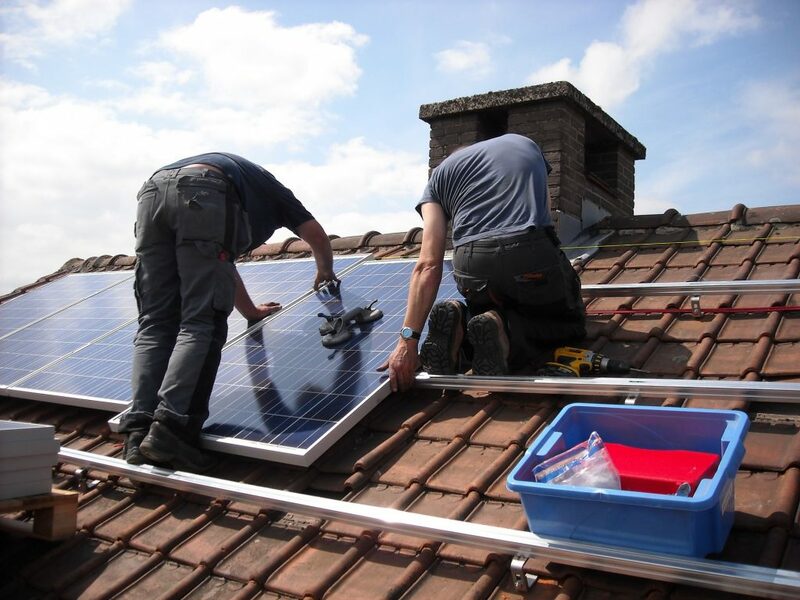 In order to get solar panels professionally installed, you will need your HOA’s permission and cooperation. Some HOA’s may require you to agree to remove the solar panels and fix the roof when you move. You must also keep in mind that having the panels installed will involve a larger financial investment. However, you will be able to claim the solar power financial benefits, including the federal tax credits, and you can take the solar panels with you to your next home! Typically, condo-owners who install a solar power system on their home plan to live in the same condo or townhome for several years. 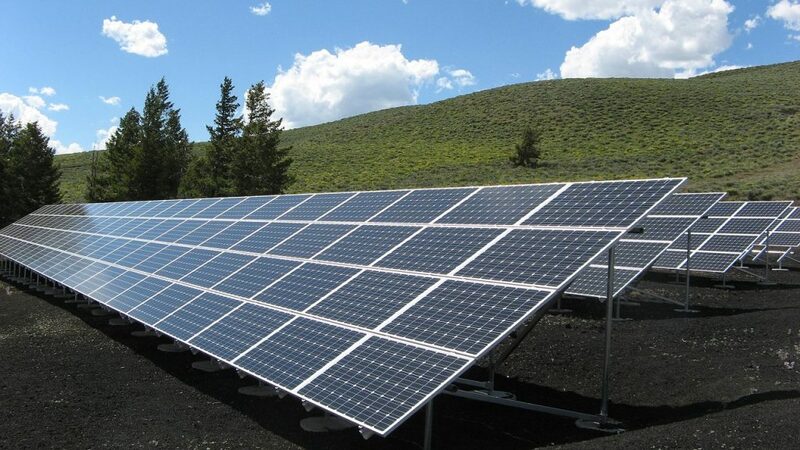 This makes the initial cost of installation a better financial decision and ensures they get the most return on their solar power system investment. Sadly, some HOA’s may still oppose installing solar panels on their properties. They also may try to charge you fees for installation and “repairs to the house” when you move depending on your state laws. If this is the case for you, consider purchasing ground-mount solar panels to place in your backyard on a ground-mounting structure. This is a solid option for condo-owners in a bind, as you can simply pull-up the panels and go when it’s time to move. Keep in mind that ground-mounted systems may not get as much sun as roof-mounted systems and may produce less electricity as a result. This is a long shot for many, but, it is possible to find condos or townhomes that already have solar power installed. If you’re able to find these options, lots of energy savings are possible with solar power. Plus, you can enjoy clean, carbon-emission free electricity for your home. While it may seem like condo-owners do not have the same options as homeowners, condo dwellers can still enjoy the benefits of solar power. Whether you’re buying and installing small solar panels, joining a solar community project, or working with your HOA to go solar, you can have the same opportunities to enjoy solar power savings and the environmental benefits. 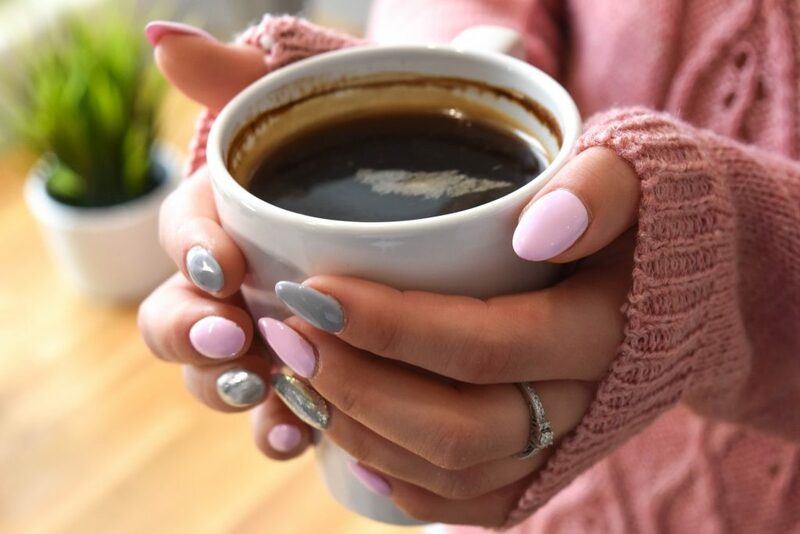 Let’s face it, early morning coffee runs are just about the most stressful, but most necessary parts of any morning for the working American. I concede that most people already have their favorites; their go-to java spots when time is of the essence and a caffeine buzz is a must. 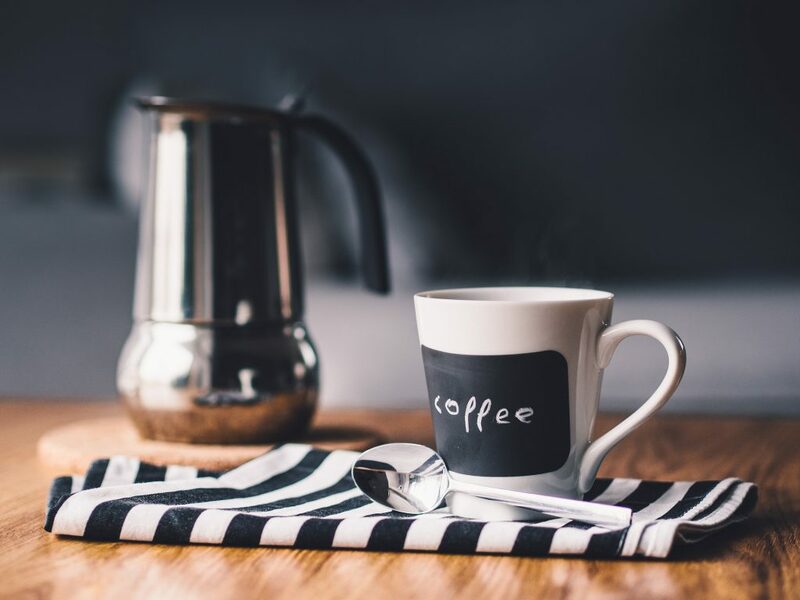 But changing up the routine in favor of a new and exciting café can not only freshen up the monotony of the every-day, you might just find a new place to call your favorite. 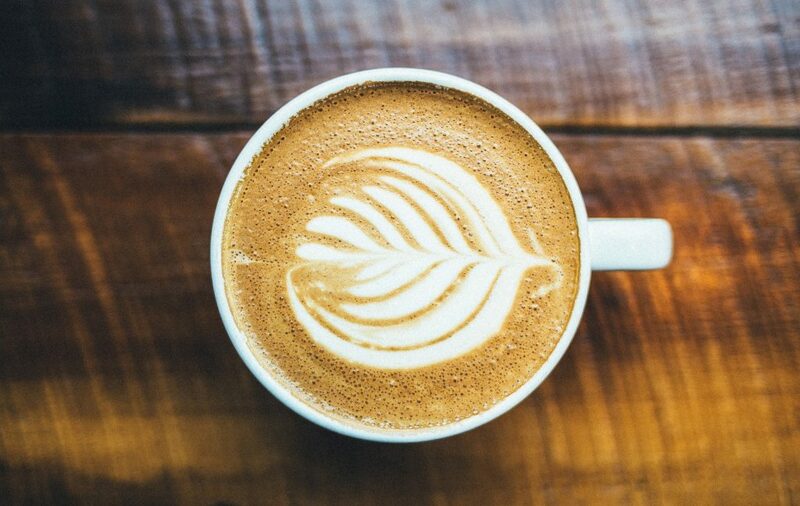 So, before you head out to the office on Monday, take a quick look at the list of the best coffee shops in Concord. Touch of Europe – Colfax St.
As Americans, we hate to admit even the slightest concession that Europeans make a mean cup of joe, but, honestly, they do. So, it’s natural to understand that any café employing a European style approach to their bean-brewing will be a pretty popular spot. Again, being a European style place, Touch of Europe is well-known for their espresso, which comes highly recommended. They even have the luxury of carrying European groceries, so you can sip and shop the way those cats do across the pond! Head in and get some grub and some joe and leave a happy camper. Coffee Shop – Locust St.
You got to love any business that brings it back to the basics, and it doesn’t get much more basic than calling your coffee shop, “Coffee Shop”. Though technically located in Walnut Creek, this hip java joint has reviewers raving about the artisan slow-drip the shop employs. Simplicity of name does not mean simplicity of quality. This place is boasting a pretty hot rank of 4.5/5 stars on yelp, and it seems no one has a bad thing to say about the place! Bondadoso Coffee and Teas Collective – Broadway St. I know, we have another jockey from Walnut Creek sneaking its way in. However, reviews have been the main criteria for this list, and Bondadoso is most definitely on the shops at the top. A cozy, small café known for its warm and inviting atmosphere. And perhaps the best part of this shop is the rotation of options. There is no static menu, so it isn’t for the fearful coffee consumer. This is a perfect place to be pleasantly surprised by a new and exciting option every once and a while, it does not disappoint. Peet’s Coffee – Diamond Blvd. I love the simple stuff. What kind of place? Coffee. Whose coffee? Peet’s. Short, sweet, and speedy. That’s probably what I love most about it. It is located in a new grand plaza, so there are multiple parking options for you if you’re under the gun on time, and pretty much every reviewer has commented on the fact that ordering was simple and fast. Now, I know it’s a chain, but it’s one of the cool, more local chains. So, it’s still cool, dude. 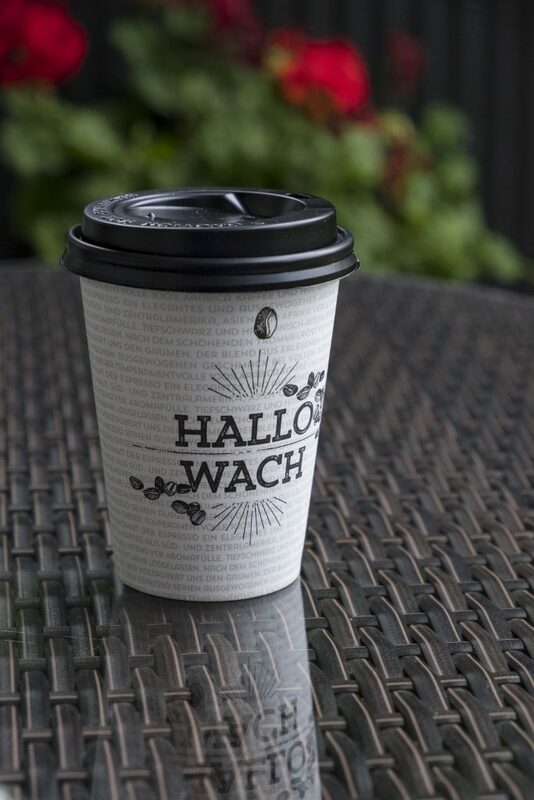 And if you’re one of those hard-nosed coffee lovers who knows what they like and doesn’t waver, this is the perfect spot to grab the same order with a bit of a different twist that you may just like even more! Chick’s Donuts and Coffee Shop – Willow Pass Rd. Now we’re getting to the good stuff. Maybe the typical coffee and tart combo isn’t doin’ it for you anymore. Maybe the luke-warm breakfast options at Starbucks aren’t really sitting well in the stomach after a half-hour. Maybe you’re a cop. 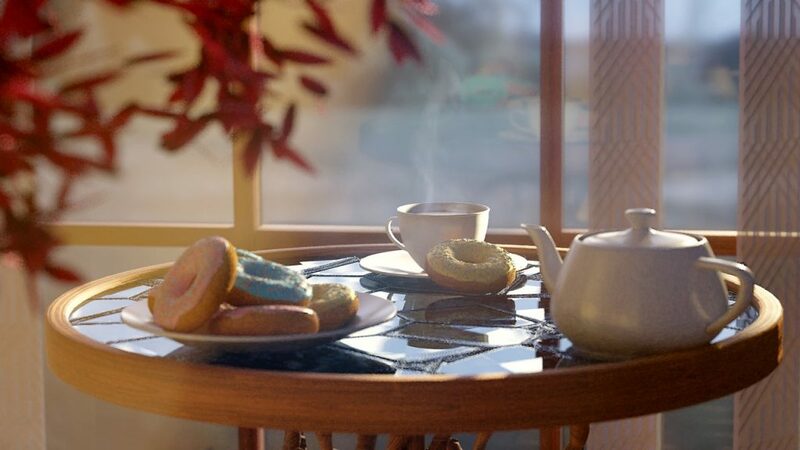 Whatever the case, coffee and donuts is just about the best quick-breakfast combination to grace this small rock we call Earth. There’s just something about the consistency of the donut once you’ve dunked it (properly). Then your coffee just tastes even better with a hint of your favorite bun. Chick’s also makes a killer big breakfast if you’ve got time, and you can enjoy the sight and smell of your orange juice being squeezed fresh right before your eyes. Sugar Plumb Coffee Shop – Colfax St. 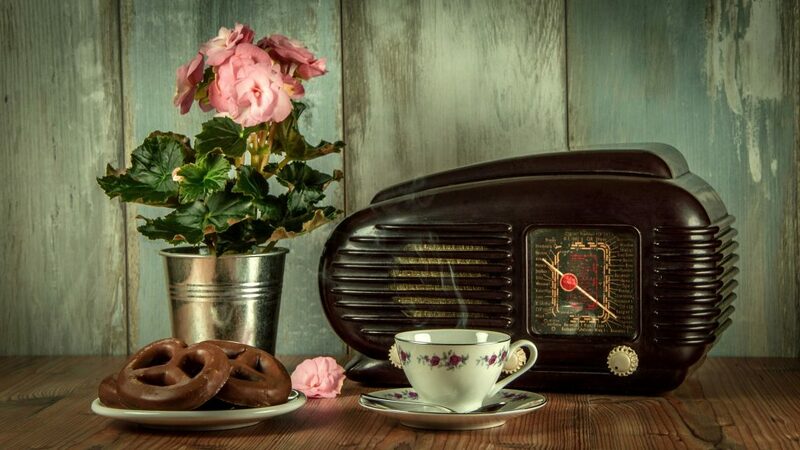 If you’ve got a taste for the nostalgic, Sugar Plumb is an obvious choice. There’s just nothing quite like a local diner that gives you a sense of home and community. You see the regulars in there at their favorite times and knowing the wait-staff by name is always a plus. Just like Chick’s, this place has a bomb selection for a full breakfast, harking back to the days of corned beef hash and chicken-fried steak for breakfast, when cowboys had to be out on the saddle all day. Do yourself a favor, stop in. 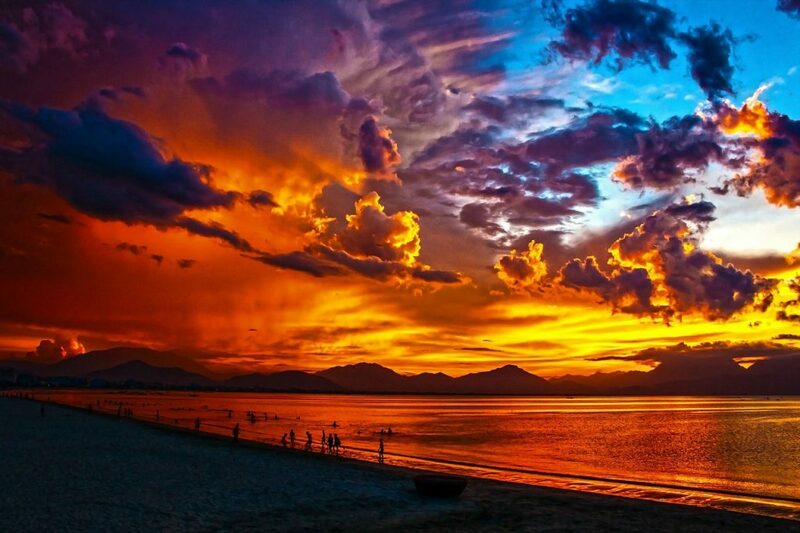 Everyone’s routine becomes a precious and immovable constant in their life. They provide the feeling of comfort and security we search for. But it’s always good to branch out a little. I know this sounds serious, because it is. Your morning coffee experience could be the catalyst of the outcome of your entire day. If you like what you like, and don’t plan on changing, fine. I understand. But if the malaise of your routine is becoming a bit much, head out to one of these spots to brighten it up! It’s that time of the year again. 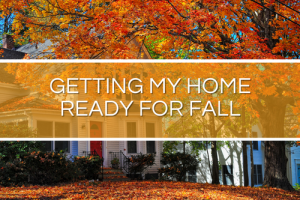 The weather gets cooler, the days are shorter and then you look around and think ‘Where did all this clutter come from?’ Fall Cleaning does not have to be a hassle. 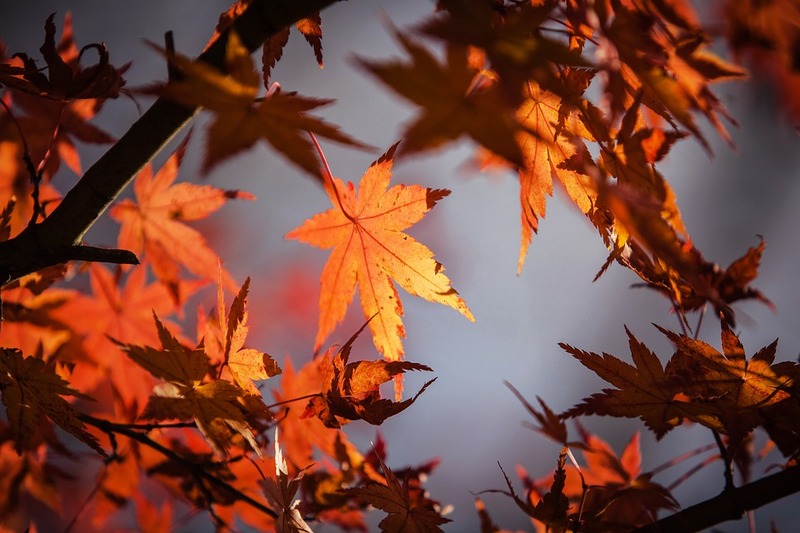 When taken step by step, a fall cleaning can lead to a healthier and more stress-free atmosphere that will set you up for the holiday season. Think of taking a top-to-bottom approach when cleaning the home areas such as the living room. Start with replacing the batteries in smoke detectors and wiping off dusty ceiling fans. Clean marks off walls and wipe smudges of windows. Then organize cabinets and remove unnecessary items. Finally, end with waxing the floors or doing a thorough vacuum. Cleaning these areas does not mean going out and buying a bunch of products. A few common kitchen cabinet ingredients can go a long way in helping remove dirt and grime. The biggest focus of cleaning the kitchen should be the refrigerator, with the oven coming in a close second. A good deep clean of the fridge should mean removing everything, double-checking expiration dates, throwing away food that has gone bad and scrubbing the drawers inside. Take the time to remove any baked on foods in the oven. Since the kitchen is used so often, a spring clean should also include using a disinfectant to wipe down common surfaces. Those surfaces include the buttons on a microwave, handles on the refrigerator and handles to the kitchen sink. A golden rule for cleaning out the bedroom is if something hasn’t been used in six months, it is time to get rid of it. This goes for old magazines, shoeboxes, broken jewelry and receipts. A good way to separate everything is by creating three piles: trash, keep or donate. There are many different organizations that seek donations such as Dress for Success, which takes business attire, or a local Cinderella Project, which takes formal dresses for girls going to the prom. As for the things that need to be trashed, there are junk removal options that make the process as painless as possible. Conquer the pile of papers and make organization the top priority when cleaning an office space. Try to create a filing system for all the papers that are necessary and recycle the rest. Keep as few things on the desk as possible, and store everything else that you don’t use on a daily basis. Make sure to clean and disinfect the computer keyboard, computer monitor and dust areas that haven’t been reached in a while. Storage doesn’t mean tossing everything in the same drawer. 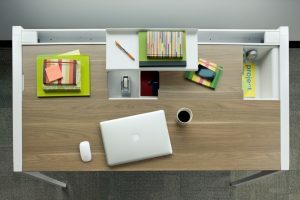 Forbes magazine advises separating everything into “zones,” so office supplies aren’t sandwiched between research papers. The most important thing to remember about Fall Cleaning is not everything needs to be done in one day. Taking it a step at a time can lead to a more thorough clean and lead to organization that lasts. 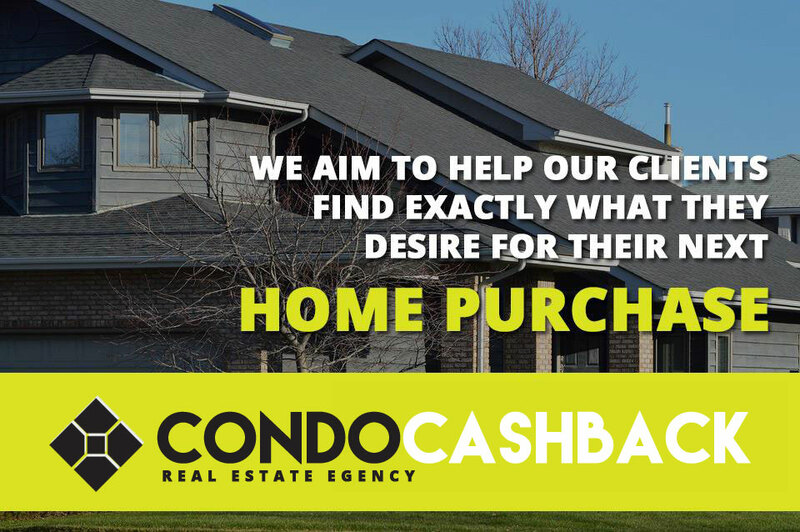 Looking to buy a home without all the hassle of exterior maintenance and more space than you really need? When you’re considering purchasing a condominium, there are certain things you must know. Understanding the challenges of purchasing a condo will help give you a head start to an exciting purchase ahead. Here are 4 tips on buying your first condo. 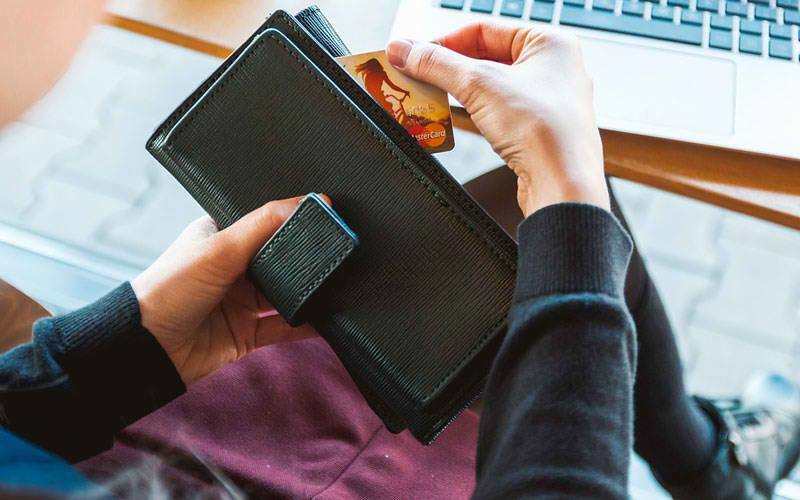 Most condos offer a range of payment schemes for buyers who plan to pay through installment Choosing an installment plan must correlate with your income. However, keep in mind that many condo developers will require a full payment before you occupy the residence. While owning a condo means that you won’t have to worry about exterior costs, such as the front yard and pool, you are still a property owner. With that also comes extra costs payment the purchase price. You will have to pay for the cost of taxes and title registration of the condo. Condos will also charge a monthly or annual association fee that is required for the maintenance of the building itself. The costs will vary according to the amenities and services of the condo. However, your broker will be able to provide the figures of the cost. 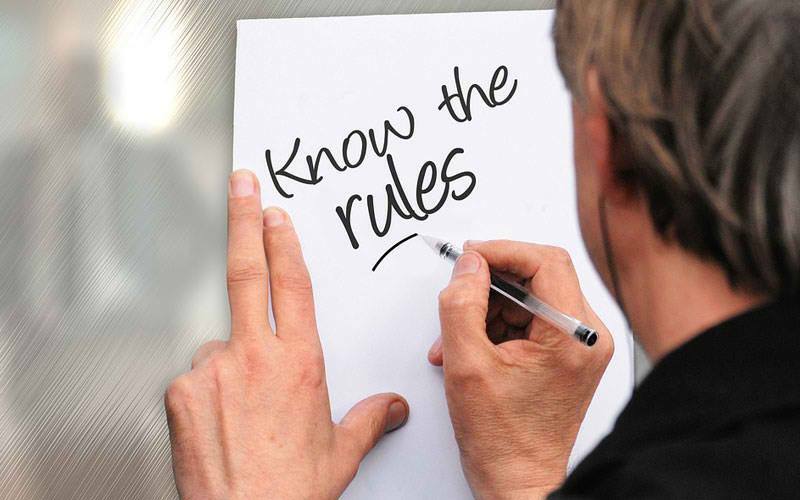 Every condo is governed by a list of rules and regulations that must be followed. The restrictions will indicate what you are allowed to do and what you can’t do around your condo. Be sure to ask for a copy of the restrictions and master deed. If you plan to rent out the place, you will need to inquire if the deed will allow you to lease your condo through an exclusive lessor. You must check the location and your condo on-site to know the estimated travel time on a daily basis. Be sure to check for emergency walkways and if flooding in an issue. 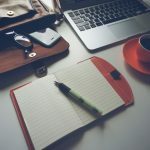 Follow this quick list of tips to help you get started on your search in buying your first condo. While this doesn’t cover everything about investing in a condo, it will help give you a jumpstart to finding a space of your own.